We're here to help! If you have any questions about which size or style is right for you, please call us. We have a Fit Specialist on staff, and we can often identify the best style and size with a photo of you plus a little information. Reach us at 1-844-826-4327 or debora@twiceasniceuniforms.com. 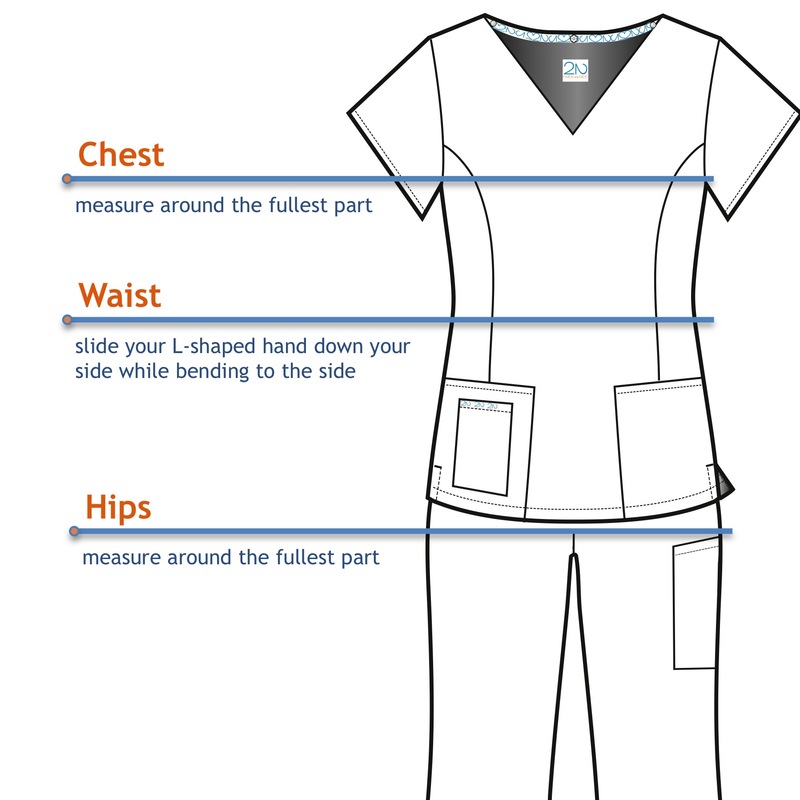 Chest: With arms at sides, and wearing only the undergarments you wear under your scrubs, measure around the fullest part. Waist: While standing, slide your L-shaped hand down your side to your hip starting at your ribcage all while slowly bending sideways at your waist. The hook of your thumb and forefinger will find and fit into your “natural waist”. Hips: Stand with heels together and measure around your hips at the fullest part.